Leopard spotting in Sri Lanka. 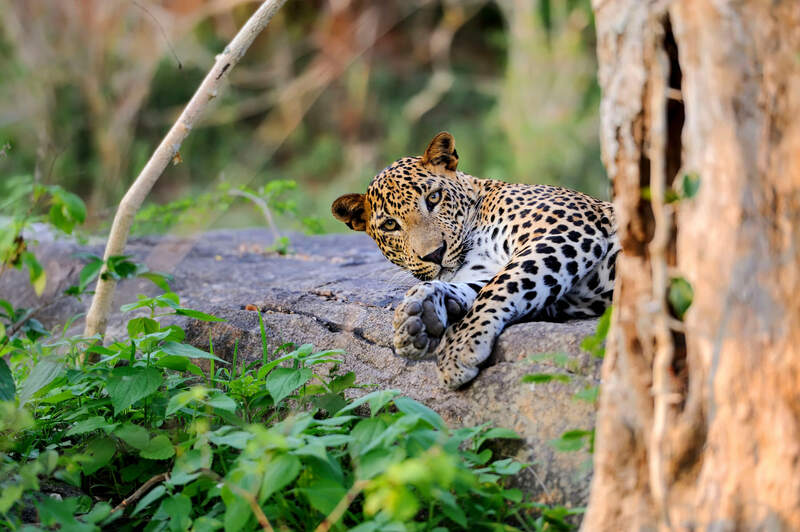 Leopards are some of the toughest cats to spot on an African safari; in Sri Lanka’s Yala National Park, their abundance practically guarantees daily encounters. And that’s only one reason to go. Add to the list ruins that rival Angkor Wat and opportunities to see humpback and blue whales off the country’s southern coast, and you’ll wonder why so few tourists have caught on. Chalk up Sri Lanka’s short immigration queues to its lack of luxury hotel options—a void that Malik Fernando, founder and owner of Resplendent Ceylon, is hurrying to fill. Already, his first two properties have earned Relais & Chateaux distinction—one is on an old tea plantation in the highlands and the other is built on a jungle-shrouded cliff facing the Indian Ocean. His third project, Wild Coast Tented Lodge, opens this October, with 28 cocoon-like tents on a private beach near leopard-filled Yala; two additional hotels are on the way. It’s the luxury travel circuit you didn’t know you were waiting for. Peak Season : Late January. The weather is cool and the crowds are thin. Off Season : June and July, when much of the country becomes inaccessible, thanks to nonstop rain and over-the-top heat swells. 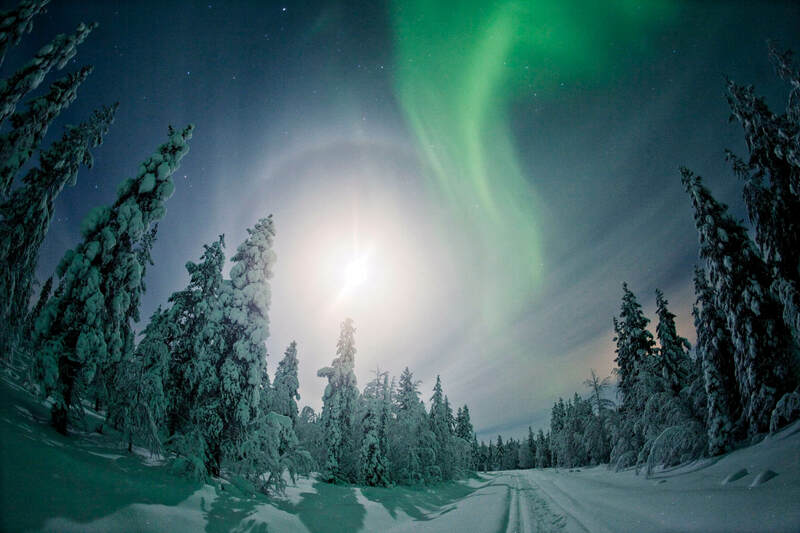 The Northern Lights as seen in arctic Finland. The Finnish may be a modest lot, but they will have a bunch to boast about in 2017. Helsinki is buzzing with the energy of the country’s centennial: A grand hotel called the St. George will open this summer in a 19th century landmark building, and a showstopping public sauna by Avanto Architects is stoking the flames of a longtime national obsession. But the real excitement lies in Finnish Lapland, where adventurers on the hunt for “the next Iceland” can find the country’s most magical experiences. Such dramatic arrivals as the ultra-mod Arctic Treehouse Hotel and the glass-domed Northern Lights Village make plush spots to witness the Northern Lights, which are said to appear there 200 times a year. Luxe outfitter Abercrombie & Kent is launching a private jet expedition to the area that includes an Arctic treasure hunt and ice track racing with champion drivers. In 2017 Finland will celebrate its pristine natural environments—from its many islands and lakes to forests and peat lands—with elaborate parties in the wild to honor the nation’s 100th year. Our top pick: a series of midsummer choral concerts in hidden crannies of the country’s national parks, set to simultaneously unfold on Aug. 26. Peak Season : June, for the amazing festivals, and July, for endless sunshine. Off Season : January. The beautiful, snow-covered landscapes don’t compensate for the bitter cold and 20-hour stretches of darkness. 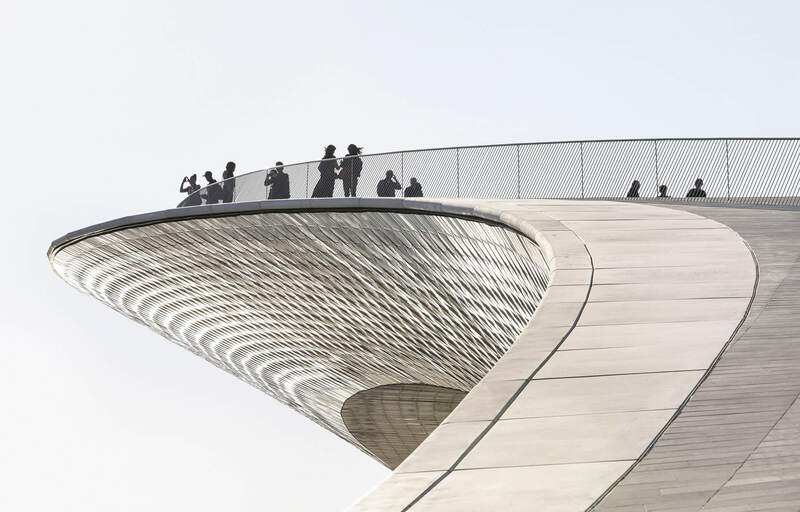 The new Museum of Art, Architecture, and Technology in Lisbon. Peak Season : November through February. Warm weather during the winter is one reason to love its location in southern Europe. 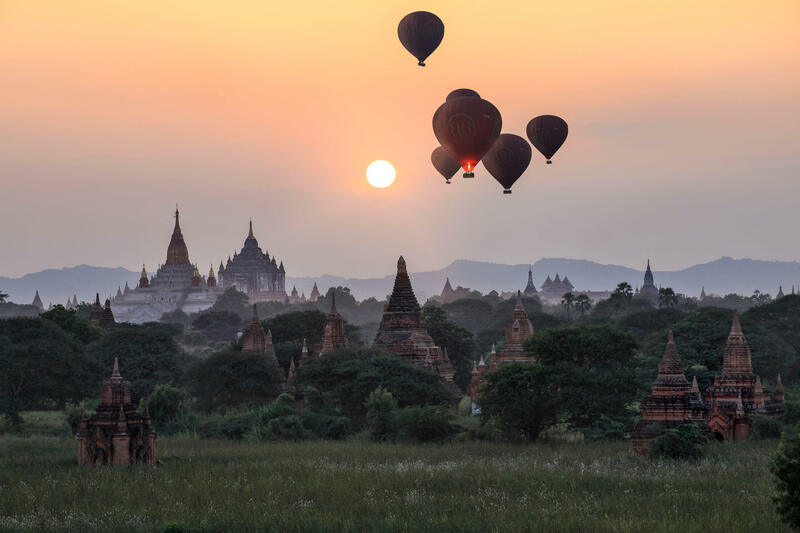 Hot air balloons flying over the ancient temples of Bagan. By now, Myanmar might feel like old news. The gorgeously lush country opened up its borders in 2012 after half a century of political turmoil, catapulting to the top of bucket lists. Five years on, though, its romantic, historic cities have hit a sweet spot for travelers. Gone are the days of paying for everything in crisp-as-linen U.S. dollars; cash machines have finally become commonplace here, as have televisions, internet access, and mobile phones. Yangon’s grande dame hotel, the Strand, has reclaimed its luster after a head-to-toe makeover, while small, locally owned B&Bs are blossoming into culture-packed boutique hotels. These days, you can even sail a colonial-style schooner to Myanmar’s least-trod beaches. And the character of the place is as authentic as ever. But Red Savannah’s Myanmar expert, Edward Granville, cautions that this golden period may be short-lived. “Like Eastern Europe in the 1990s, change is in the air,” he said. A Novotel arrived last year, Hilton and Conrad are said to be planting flags, and an entire hillside in Inle Lake has been cleared for a mass-market hotel park. In other words: Go before the country reaches a tipping point. It may never be the same again. Peak Season : October to March. The weather is cool and dry, the skies are clear, and the sunrises and sunsets downright epic. Off Season : April to August. It’s extremely hot in the buildup to monsoon season—and then extremely wet when the rains finally arrive. One of many pretty cobblestoned streets in Valletta, Malta. Malta has had few reasons to be in the spotlight since its historic Great Siege, a full 500 years ago. This year, the island nation has many. 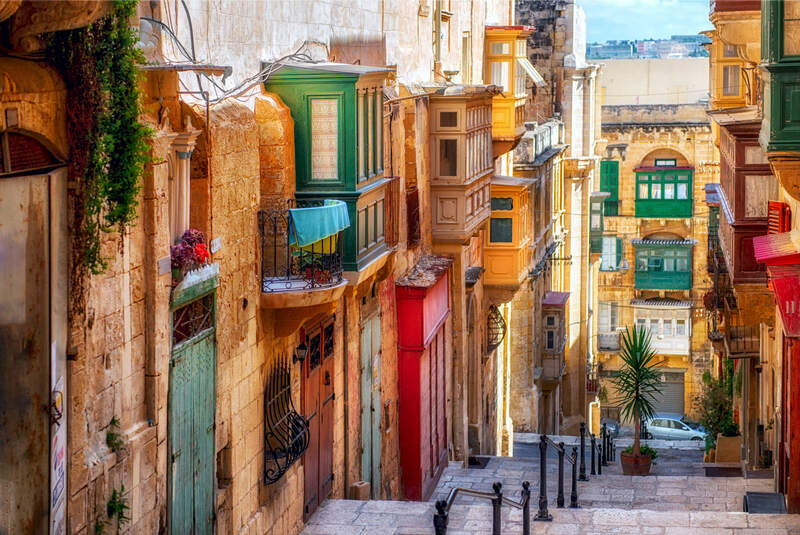 After it was announced that Valletta would become the European Capital of Culture in 2018, abandoned Baroque townhouses in the port district became a hot commodity; now they’re being reopened as small businesses and stylish inns. The city’s Parliament and historic City Gate just got a makeover by starchitect Renzo Piano. And Strait Street, a one-time favorite place for knights to duel, is being redeveloped by the city's architect of the moment, Chris Briffa, who is converting a block of houses at the lower end of the street into bars, restaurants, and (it is hoped) an outdoor theater. Given the traditional dearth of good hotel options in town, it’s especially exciting news that the grande dame Hotel Phoenicia will be reopened in January after a tip-to-toe renovation; its foil, the ultra-sleek Iniala Harbour House, will open later in the year. And while developments like MUZA, Malta's Museum of Art, won’t pop until 2018, this is truly the year to go. For one thing, it’s still easy to walk in and grab a table at the excellent family-run tavernas you’ll find on almost every street. Soon enough, it’ll be reservations only. Peak Season : Plan for spring, especially Easter, for a true taste of local traditions. Imagine dramatic processions and delicious almond-filled cakes (called figolla). Off Season : August. Aside from the intense heat, many of the shops may be closed. The snow-capped mountain of La Veronica, in Peru’s Sacred Valley. In 2017, think beyond Machu Picchu to the Incan salt pans of Maras, the uncharted, snow-capped mountains of Veronica and Sawasiray, and the endless horizon of Lake Titicaca. 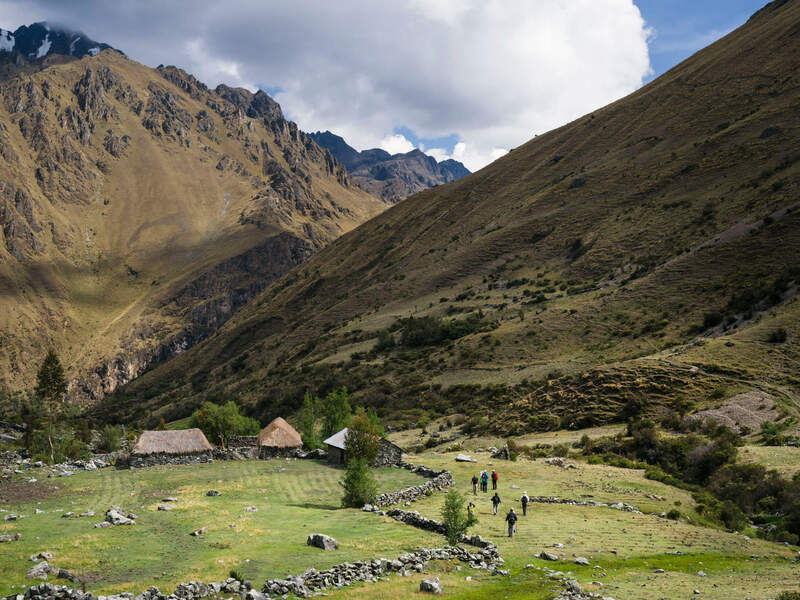 Thanks to improved infrastructure (and trailblazing travel operators), these places are perhaps even easier to access than the so-called Lost City of the Incas—and with zero trace of the crowds. The five-star Chilean adventure outfitter Explora, for instance, made its Peruvian debut with an architectural gem in the Sacred Valley last summer; it’s now taking travelers on stunningly remote treks that feel like time warps into simpler times. For those who prefer exploring on two wheels, the luxe bike outfitter DuVine is offering similarly off-the-beaten-path trips. Adding to the buzz is Belmond, one of the original luxury hospitality brands in Peru, which will introduce South America’s first luxury sleeper train in May, connecting Cusco to the traditional villages surrounding Lake Titicaca. It all fits in with new President Pablo Kuczynski’s mission to expand tourism into Peru’s pristine countryside—which may quickly modernize it, for better or for worse. Peak Season : April, when the post-rainy season landscape is at its greenest and the summer travelers have yet to descend. Off Season : February. The rains are at their worst, and this is a place to be outside. 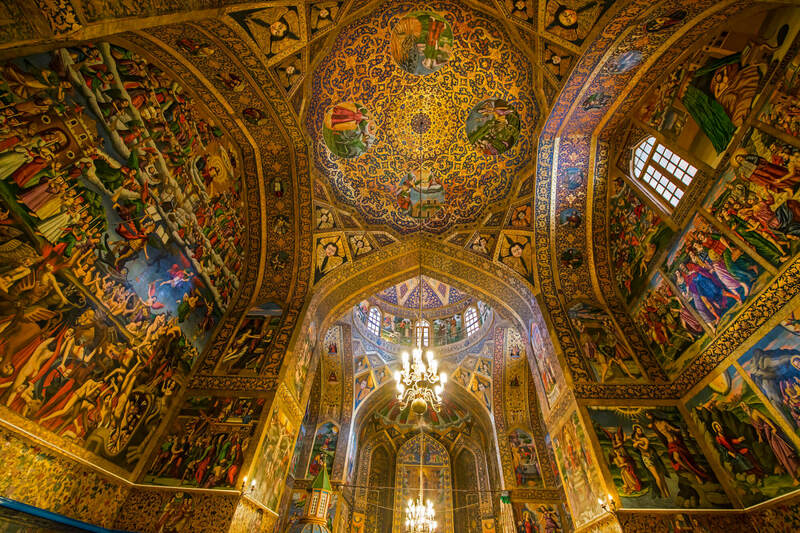 Inside the Vank Cathedral in Isfahan, Iran. On trips such as Cox and King’s Heart of Persia, you’ll get to roam the desert bazaar of Kerman, ogle Moorish palaces and mosaic-tiled mosques in Isfahan, and see ancient sites like the royal city of Persepolis, which dates to roughly 500 B.C. “These are the kinds of sites that you can’t find elsewhere—and which, in places like Afghanistan and Syria, have been tragically destroyed,” said Brian Allen, Asia specialist for Mountain Travel Sobek, which has been leading tours to Iran for four years. Peak Season : Late October or early November, when the climate is just right for outdoor sightseeing. Off Season : Iranian holidays clog the streets with traffic, and Ramadan makes a trip extra-complicated; this year, avoid the last two weeks of March and the month of June. 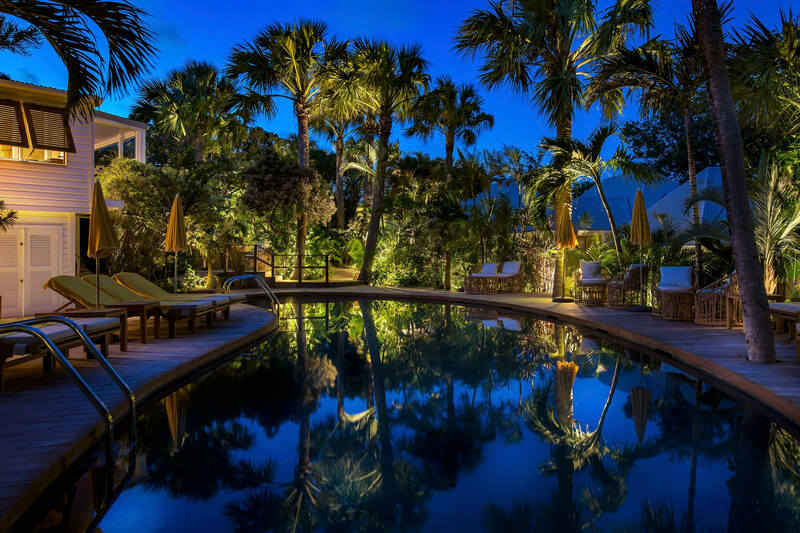 Nightfall on Villa Marie, one of the stunning new hotels in St. Barts. The Caribbean’s ritziest island is showing its laid-back side this year, with several long-in-the-works openings set back from the posh Gustavia port. Of the bunch, Villa Marie is the most intimate, giving a French plantation house a vibe that skews more gypset-boho than buttoned-up. After a four-year-long, $40 million renovation, Le Guanahani has put the focus on fun, barefoot luxury. It’s on a private, 18-acre peninsula with 67 guest cottages, all done up in a riot of colors with teak floors that blend seamlessly with the lush landscape. And the old St. Barts Beach Hotel has given way to Le Barthélemy, where the high/low lifestyle includes an option to take the house car to your preferred beach for no-fuss picnic lunches, with or without Champagne. It gets even better the farther you get from the yacht crowd. Case in point: At the privately-owned Le Toiny, catch a jeep from the hotel in the hills to a pop-up restaurant on the sand. Dishes such as black truffle pasta and lobster linguini are ample proof that you don’t have to be aboard the Seven Seas to live large in St. Barts. Peak Season : May and June. Amazing weather without the high-season price tag. Off Season : September, when everything is closed for hurricane season. 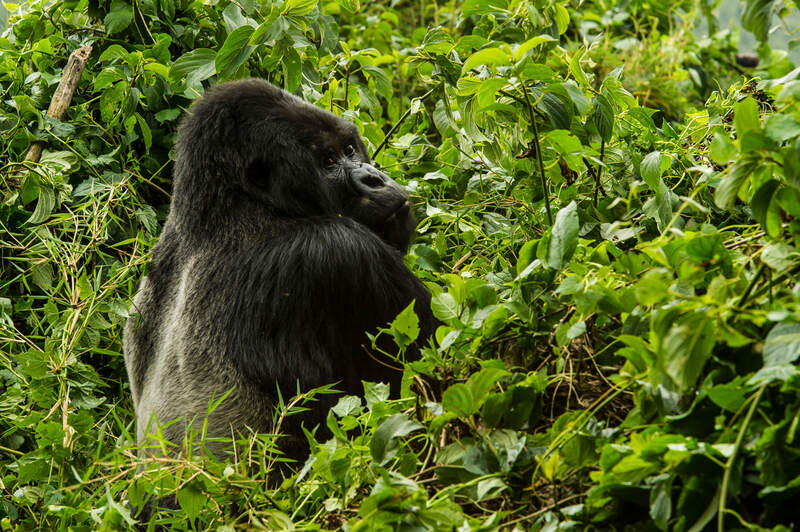 Gorillas on view at Volcanoes National Park, Rwanda. Wilderness Safaris is like the Tesla of African tourism. They’re safari trailblazers at the top of their game, leading the industry in both conservation and community work and offering no-holds-barred luxury out in the field. So when the company announced it would move into Rwanda this year, Africa enthusiasts immediately took notice. That’s not to say Rwanda is hurting for tourism: It’s one of the few places where you can go gorilla trekking, and a new joint-visa program with Kenya makes it easy to come here after a few days in iconic Masai Mara. Still, Wilderness Safaris’ Bisate camp, which will debut in a secluded stretch of Volcanoes National Park in June, will make it easier than ever to spot silverbacks without sacrificing a single creature comfort. The complex comprises six dome-shaped forest villas, each designed to evoke a traditional Rwandan domicile; inside, you’ll find 1,000 square feet of private space, all swathed in traditional local textiles and animal throws. Stay tuned for more: Wilderness already has plans to open a second lodge nearby in 2018. Peak Season : Dry season spans from mid-December to early February. Hit the tail end, when early rains attract tons of gorillas and chimps. Off Season : Gorilla treks are tough enough when the trails aren’t covered in mud, so avoid the rainy stretches in the spring and late fall. The Herzog & de Meuron-designed Elbphilharmonie arts complex, in Hamburg. 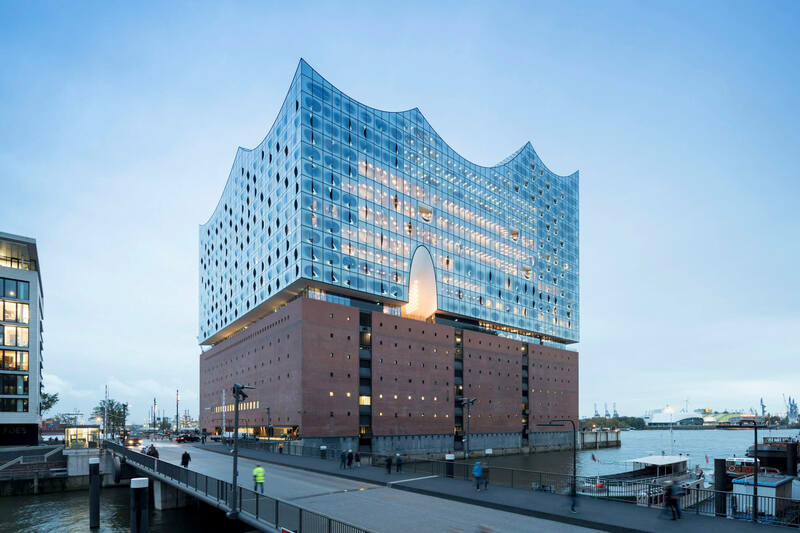 After more than a decade of controversy and a budget that ballooned tenfold, Hamburg’s Elbphilharmonie is now complete. The striking Herzog & de Meuron-designed performing arts complex—built out from a mid-century brick warehouse on the city’s historic harbor—isn’t just an eye-popping landmark, it’s the symbolic crescendo for HafenStadt, a massive, new neighborhood that’s been unfolding across 400 acres of unused docklands. There, you’ll find luxury apartments, shiny office buildings, and destination restaurants such as Carl’s Bistro and Kaiser Perle. You’ll want to check out a concert at one of Elphilharmonie's three stages; the inaugural lineup includes celebrated dancer Sasha Waltz and contemporary jazz pianist Brad Mehldau. And feel free to spend the night: The just-opened Westin Hamburg has 244 rooms and an elaborate spa right inside the building. You’ll be even more comfortable at the upcoming Fontenay hotel, which will open next summer, with views of stunning Alster Lake from its 131 sumptuous rooms. Peak Season : May or June, when you can cruise the city’s canals. Off Season : February and November. Rain, rain, go away. The pristine shores of Tayrona National Park, on Colombia’s northern coast. 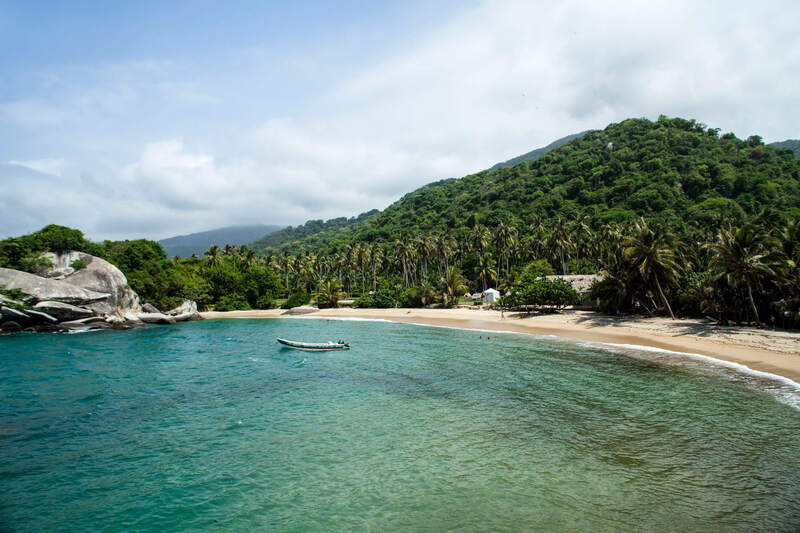 The natural splendor makes it easy to understand why Colombia was the birthplace of magical realism—which you’ll definitely tap into if you visit the mystical tribes of Tayrona National Park or Cartagena, where a stylish inn by fashion maven Sylvia Tcherassi has just flung open its doors. Don’t disregard the capital, either. Bogotá is embracing its position as a booming financial hub and has become deft at catering to the jet set. Just look at its two new Four Seasons hotels and the countless chefs waking up to the country’s edible biodiversity. Peak Season : Colombia is a year-round destination, but February and March are particularly appealing because peak season has died down and the weather is still top-notch. Off Season : October and November are slightly rainy—but not terribly wet. This year, you can have the pyramids of Giza all to yourself. Want to get the pyramids all to yourself? 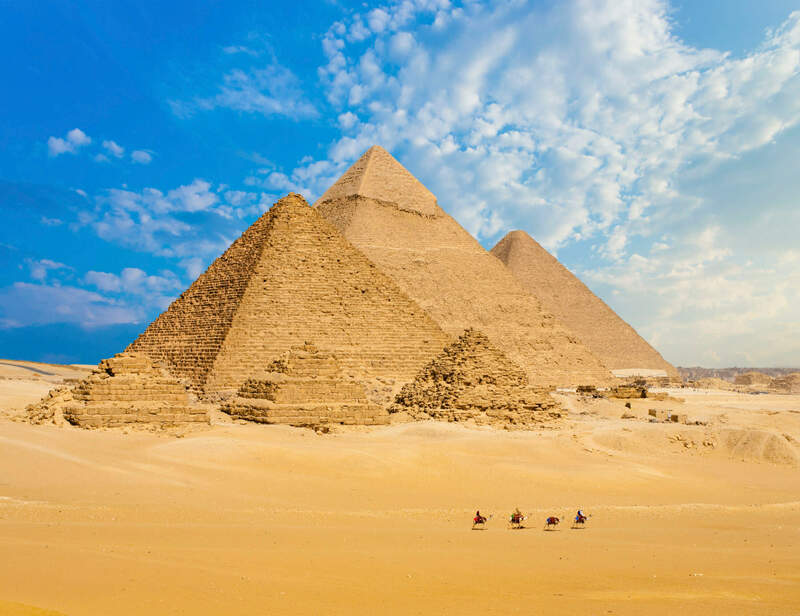 Now’s the time to go to Egypt, which has shed its years of social and political unrest but has yet to regain the crowds that long plagued its iconic sights. "Locals are now more inclined to talk about their lives, hopes, and fears," said Geoffrey Kent, founder of luxury tour operator Abercrombie & Kent, which is launching two itineraries here in 2017. "Travelers will find the country offers a more rewarding experience than ever before." In addition to heightened safety, many brand-name hospitality firms have started recommitting to Egypt. In 2015 Ritz-Carlton opened right on the Nile, and more recently, Oberoi launched a luxury river cruise between Luxor and Aswan. This April, St. Regis will open a 39-story hotel—also overlooking the Nile—in a Michael Graves-designed, mixed-use complex. Plus the government is finally opening the lush tombs of both Queen Nefertari and Pharaoh Seti I, after years of closed-door restorations. Peak Season : March. Even in high season—with its perfect temps in the low 70s—there’s amazing value to be found. At least for now. Off Season : August. Because who does deserts in August? Turks and Caicos’ signature blue waters, as seen from the new Sailrock resort. Best beaches in the world? Check. Amazing luxury hotels? Check. Non-stop flights from major U.S. cities? Turks and Caicos already had it all, but the arrival of its first new luxury properties since 2009 is injecting a family-friendly energy to a tried-and-true honeymoon spot. In January, Sailrock opens on largely undeveloped South Caicos, where you’ll find three nature reserves and the world’s third-largest coral reef. It’s a plush retreat for adventure-packed days: Think whale watching, scuba diving, and secluded fishing trips. 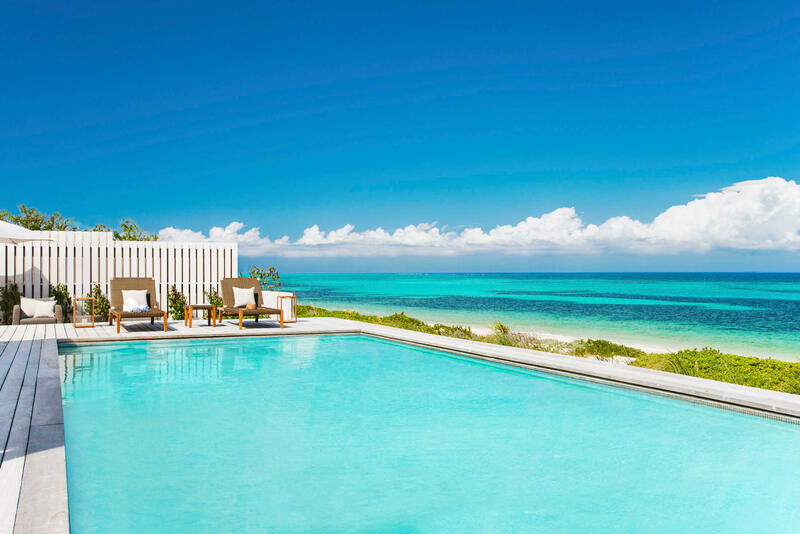 Then there’s the Shore Club, the only hotel on turquoise-watered Long Bay Beach in southeastern Providenciales. It’s a riff on the plantation-style resort so commonly seen in the West Indies—except its kids club is in a treehouse, and its light-filled rooms ditch colonial-style shutters in favor of modern, glass-walled terraces. It promises a no-need-to-leave experience. Finally, for the multi-gen set, there’s Beach Enclave, a collection of four- and five-bedroom homes on a seaside cliff just west of powdery Grace Bay Beach. It couples the privacy (and square footage) of a vacation rental with the amenities of a resort—such as snorkeling classes for the little ones and family outings on a Hinckley Picnic Boat. Peak Season : May, for nice weather and great value. Off Season : September and October, when the risk for tropical storms outweighs all else. 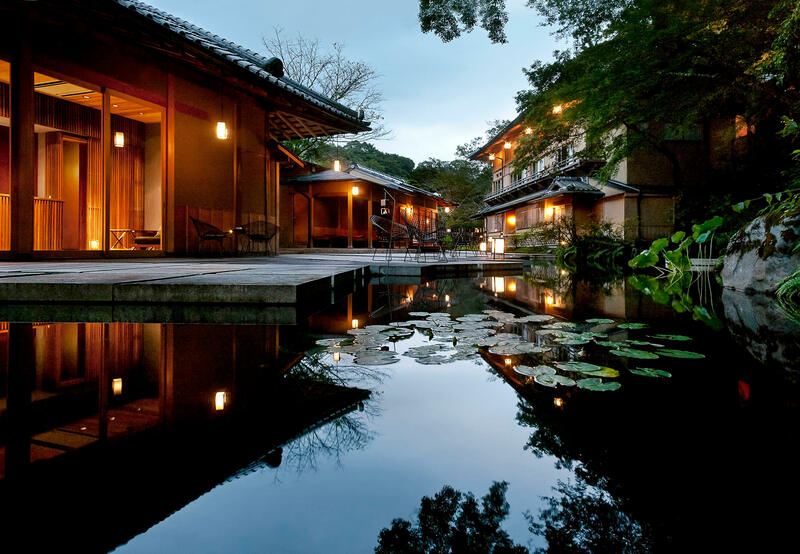 Hoshinoya’s Kyoto property—an idyllic urban oasis. Despite an abundance of talented concierges and hospitable locals, traveling in Japan without speaking Japanese can leave you feeling as if you’ve barely scratched the surface. In the run-up to the 2020 Olympics, though, the country is shaking off its Lost in Translation vibe. The Ryokan Collection, a just-formed consortium of more than 30 properties, is making it easier to find traditional inns that cater to foreigners, even in off-the-beaten-track destinations. Celebrity chef Hiroyuki Hiramatsu is also overseeing a brand-new line of high-end ryokans that combine the exquisite service and meticulously prepared, hyper-seasonal meals of old-style properties, but with rooms that nod to Western luxury ideals of mattresses, instead of sleeping mats, and walls, rather than paper screens. The first locations are in the hot springs town of Sengokuhara and Atami, which lies in the shadow of Mount Fuji. Two high-end rail experiences are on the horizon as well. The Twilight Express Mizukaze, an Art Deco-inspired sleeper train that travels through the western regions of Sanyo and San’in, and the Train Suite Shiki-Shima, a jewel box-like, 10-car train that takes guests on multi-day itineraries in northern Japan, both pass through coastal and country towns most people never see. Even if you stick to the well-trod tourist trail, Kyoto Artisans Concierge can give you unprecedented access to renowned workshops that were long closed to tourists. Now, with a few clicks, anyone can arrange a visit to an atelier that makes fans, lacquerware, or knives. Peak Season : Mid-October to the end of November. The stunning, fiery red fall leaves (koyo) are on full display and the weather is great, to boot. Off Season : July to September. Popular destinations such as Tokyo and Kyoto are in full-on hot, sticky summer mode. Suspended off the coast of Mozambique in the Indian Ocean, the island of Madagascar is hardly a secret among the adventure-seeking set. Its extraordinary biodiversity has rightly earned it comparisons to the Galapagos Islands. But before this year, its rainforests and untouched beaches were largely accessed only by the truly intrepid, due to a void of high-end lodging options. 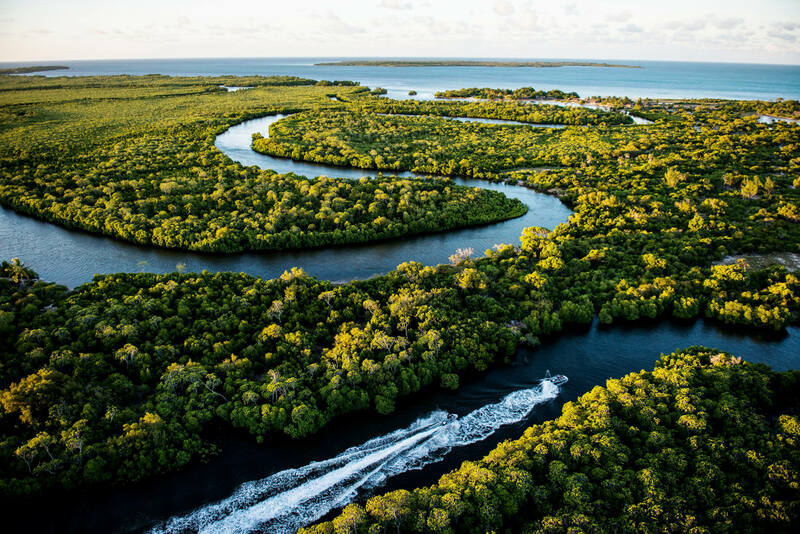 But now this naturalist’s paradise—which is home to more than 250,000 endemic animal species—is poised to become a luxury traveler’s bragging right, thanks to the April opening of the ultra-exclusive, 14-villa Miavana resort. For $2,500 per person, per night, you’ll get full run of Nosy Ankao island, off the country’s northeastern tip. While you’re there, check these two things off your to-do list: snorkeling through the archipelago’s turtle-filled lagoons (you can literally dive in from the deck of your villa), and sailing to the mainland for an up-close look at Madagascar’s famed lemurs. Peak Season : May and September, when lemur safaris are less crowded. For divers, September gets an edge because high plankton levels attract loads of whale sharks and dolphins. Off Season : Mid-January to mid-March. Bad things come in threes: rain, wind, and cyclones. 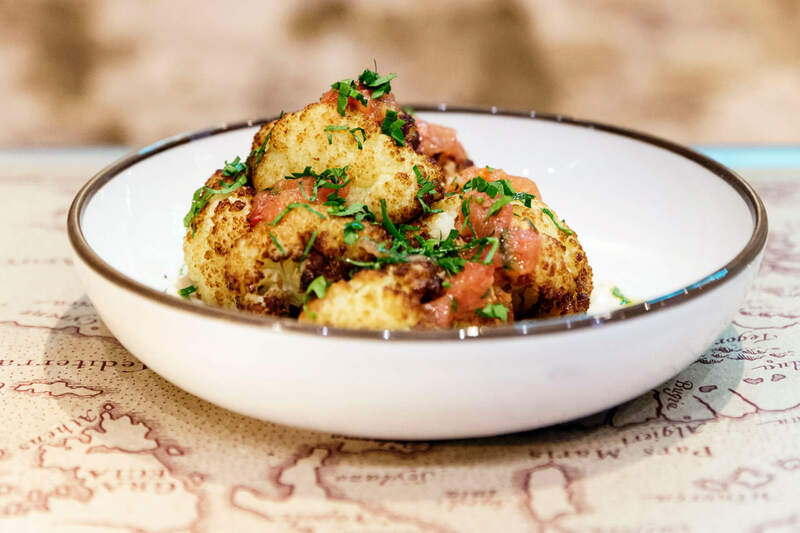 The Cauliflower Jaffa Style at Barbary, one of London’s hottest new restaurants. There’s no need to worry about your London travel plans, post-Brexit. On the contrary, a soon-to-open boutique hotel and private club is reason alone to visit. Called The Ned, the project is set in a former 1920s bank in the City and is the first collaboration between the Soho House and NoMad hotel teams. On the docket is a rare-for-London rooftop pool, with glorious views of St. Paul’s and a bar in the old vault. Fierce competition is brewing near the Tower of London, at the Four Seasons Ten Trinity: it’s likewise set in a portentous 1920’s building with a French restaurant by three-Michelin-starred chef Anne-Sophie Pic. Old-meets-new is playing out elsewhere, too. Claude Bosi of the Michelin-starred Hibiscus is opening in the fabulous Art Nouveau Bibendum structure this spring. And Jean-Georges Vongerichten will create his version of a comfortable neighborhood restaurant in the grand Connaught Hotel in Mayfair. Plus Marcus Samuelsson will soon bring his Harlem comfort food hotspot, Red Rooster, to Shoreditch. But the hottest dining ’hood is Soho, where the Barbary showcases the flavors of North Africa. With the exchange rate more in favor of travelers than it’s been in decades, splurging on meals is just the beginning of your best London trip yet. Peak Season : May and early June, when the gardens are in bloom and several royal birthdays fill the city with pomp and circumstance. Off Season : August. Londoners decamp—and tourists replace them, leaving the Tube and streets completely clogged. 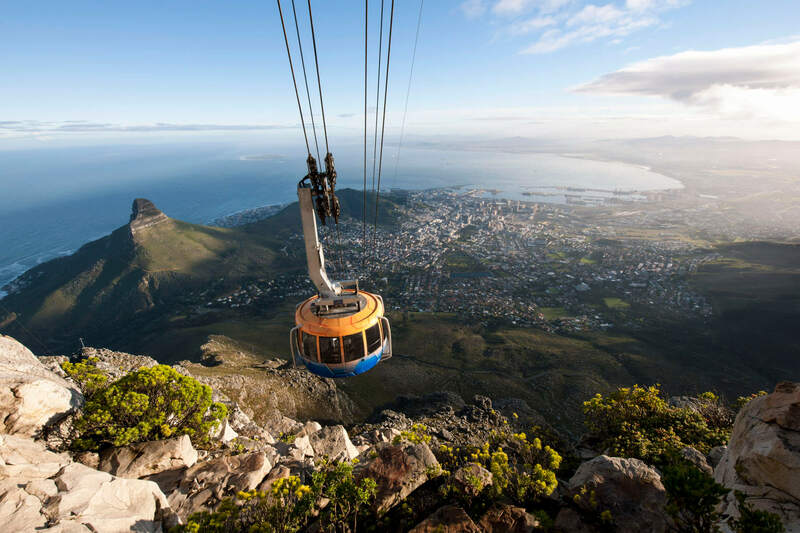 The aerial cableway that leads to the top of Table Mountain. Cape Town has found its way onto traveler's bucket lists for many reasons, including its natural beauty, its cutting-edge design sensibility, and most recently, its exceptional food scene. But in 2017, expect the city to make a star turn as the hottest art capital in the Southern Hemisphere. Come September, the long-anticipated Zeitz Museum of Contemporary Art Africa—aka the Zeitz MOCAA—will become the world’s largest museum dedicated to modern art from across the continent. The collection will occupy an erstwhile grain silo at the V&A Waterfront that was once the tallest building in sub-Saharan Africa and was since reimagined for the 21st century by famed U.K. architect Thomas Heatherwick. Those involved with the project hope to make it as influential as New York’s MoMA and London’s Tate. What’s more, Cape Town’s art galleries are upping their game in anticipation of the inevitable influx of patrons soon to descend on their city: Current highlights include StateoftheArt, Ava, Whatiftheworld, and Gallery Momo. And where’s a discerning art aficionado to stay? The new Silo Hotel crowns the MOCAA’s glass-clad tower, promising stellar views and unrivaled museum access. Peak Season : March, for harvest-time day trips to the nearby wine lands. Off Season : June through August. South Africa’s wet winters are ideal for Great Migration safaris, not urban explorations. 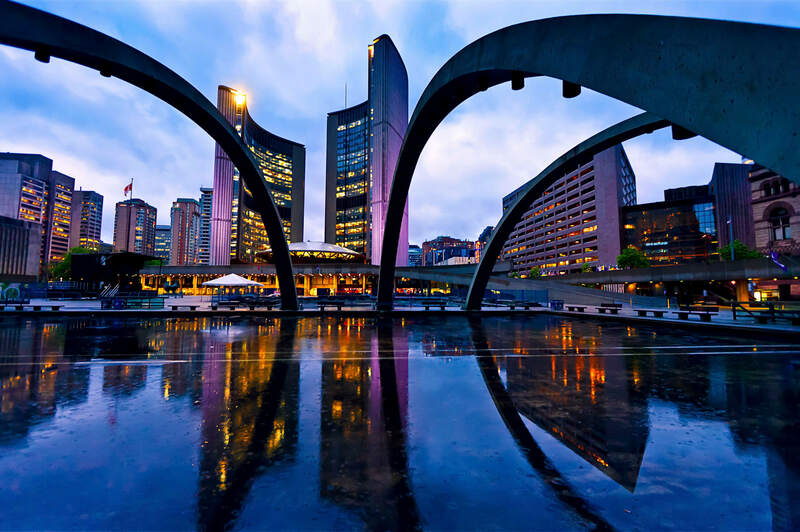 Nathan Phillips Square, a public plaza that anchors Downtown Toronto. Canada’s largest city has decisively shed its image as a staid also-ran, thanks to its flourishing food scene, an abundance of new green spaces, and lots of homegrown creative energy. It’s become one of the fastest-growing metropolitan areas on the continent. On the cultural front, the Museum of Contemporary Art will unveil its expanded location in fast-changing Junction Triangle. And the city’s splashy $25-million Bentway project, Toronto’s answer to such repurposing initiatives as the High Line in New York, will transform a one-mile stretch beneath the elevated Gardiner Expressway into a vibrant recreational space—just in time for Canada’s 150th birthday celebration. Base yourself at the Hotel X, an “urban resort” with two movie theaters, two rooftop swimming pools, and a 3,000-square-foot children’s play area. Or spring for a room in the 44-story project Bisha Hotel & Residences, in the centrally located Entertainment District, where an entire floor has been designed by Lenny Kravitz. And don’t overlook the dining—not that you could, with options such as French-influenced dim sum at DaiLo and pine-smoked mussels at Boralia. Peak Season : The crowd-free, foliage-filled window between the Toronto International Film Festival and the onset of winter—from late-September to mid-November—is largely underrated. Off Season : Spring, which is uncomfortably cold and rainy. A look at the soon-to-open Aman Shanghai. A cooling economy? Weakening yuan? In glitzy Shanghai, China’s woes seem worlds away amid all the city’s splashy development projects. Put aside the $5.5 billion Shanghai Disney Resort that finally opened its doors in June—it’s the steady influx of five-star hotels and celebrity-chef restaurants that most excite us. On the ever-glamorous Bund, an Art Deco gem of a building will transform into an Edition Hotel, set to open early next winter. The Capella Shanghai will open sooner, in March, with a restaurant by acclaimed Frenchman Pierre Gagnaire; he’s joining a crew of recent imports, such as Spanish chef Diego Guerrero and Joël Robuchon, to further boost a culinary scene that earned Shanghai its inaugural Michelin Guide in 2016. 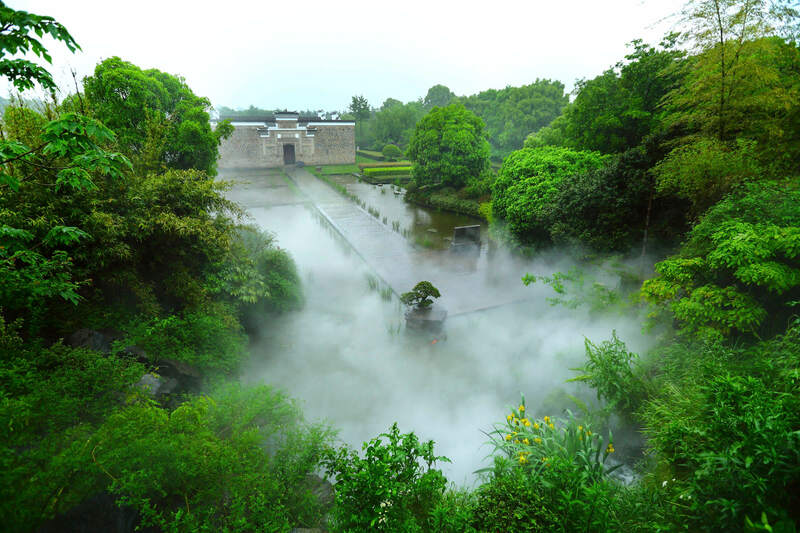 The capstone will be Aman Shanghai, the group’s fourth mainland resort, bowing this spring. It inhabits a centuries-old traditional village that was painstakingly transplanted from rural Jiangxi province, 500 miles away—giant camphor trees and all. Peak Season : April, when the weather is pleasant and dry—important in a city that gets twice as much rain as London. Off Season : Skip the end of summer (typhoon season) as well as Golden Week, in the beginning of October. It’s when domestic tourists come flocking, packing local attractions and public spaces. 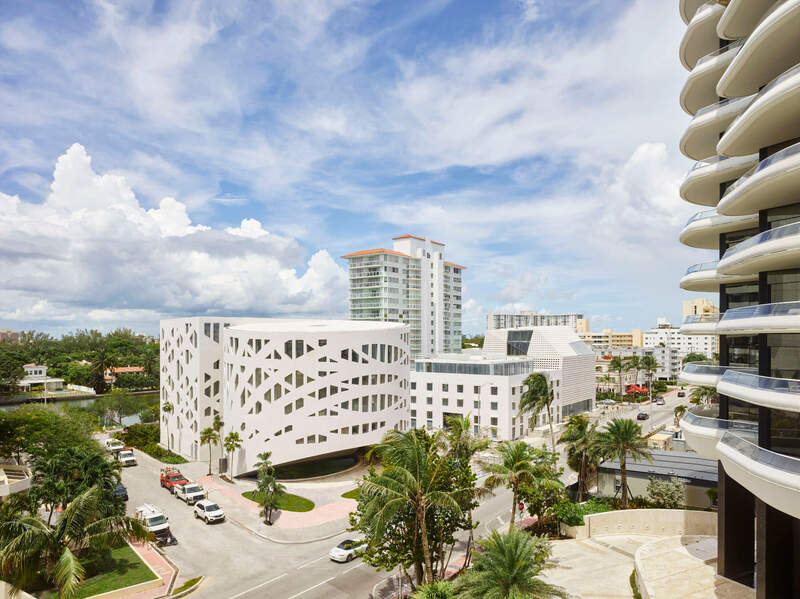 The newly-christened Faena Forum, in Miami Beach. Save for one party-filled weekend each December, Miami’s culture scene has been as skimpy as the bikinis on South Beach. No longer. The Frost Science Museum, which has been delayed and bailed-out countless times, will finally open in the spring, with 250,000 square feet of LEED Gold-certified galleries, all designed by a “technologist” who spent years developing pieces for artist James Turrell. It’s anyone’s guess whether the Frost or the significantly expanded Bass Museum will win the race to ribbon-cutting day. And that’s to make no mention of South Florida’s first food hall, Central Fare (with a restaurant by Top Chef alums Bryan and Michael Voltaggio) or Brickell City Centre, a retail complex of staggering proportions that’s steadily expanding the city’s appeal beyond its sandy shores. Peak Season : November to March. Chances of rain: slim. Chances of amazing weather: high. Off Season : July to September. The lowest hotel prices of the year don't make up for the fact that it's brutally hot and muggy.